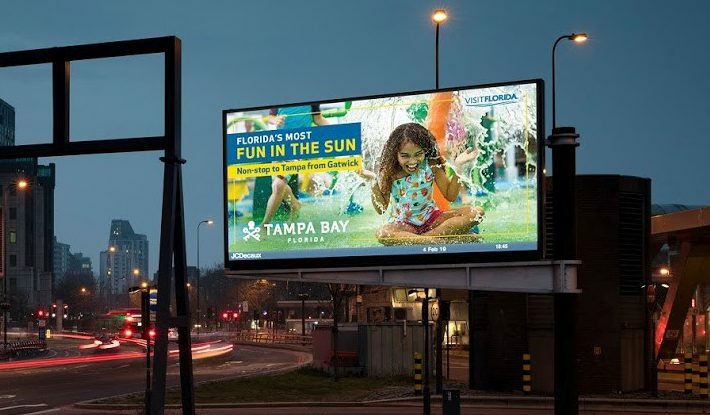 The next day, images of smiling, swim-suited paddle boarders in sunny Florida appeared on a network of 68 digital billboards in London, along with other images from balmy Tampa Bay. 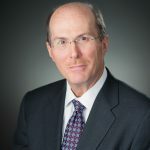 “Anyone driving in that network of roads will see pretty stunning images of Tampa Bay and Bradenton (Florida),” said Santiago Corrado, CEO of Visit Tampa Bay. 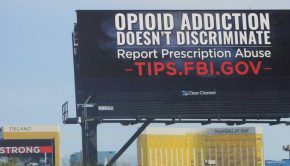 Visit Tampa Bay billboard in London. Tourism has long been married to destination images. Perhaps a polar vortex sharpens the focus. 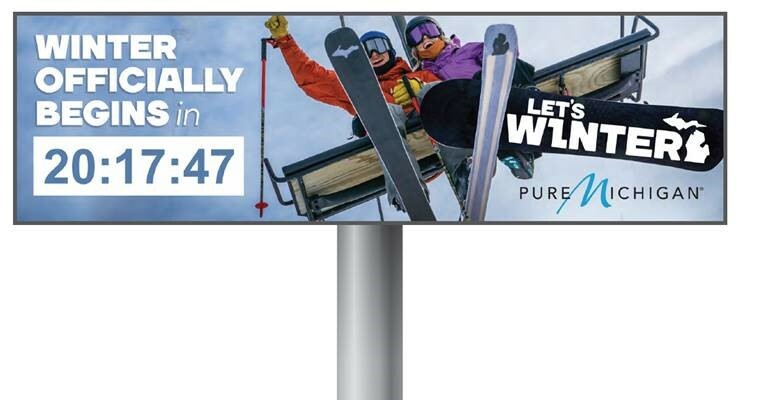 Michigan’s $2.3 million 2019 winter-tourism campaign includes new inter-active weather-triggered billboards that update snow conditions. Some digital billboards displayed a countdown of the days leading up to the first day of winter. The campaign also encourages visitors to use the hashtag #letswinter on social media. The travel-tourism category – a big book of year-around business for OOH – inspires top creativity. In the US, the 2018 OBIE Awards honored ads for Mammoth Mountain (CA), Jackson Hole (WY), and Wisconsin tourism. 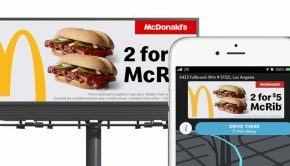 Travel and tourism ads are featured on all OOH formats. 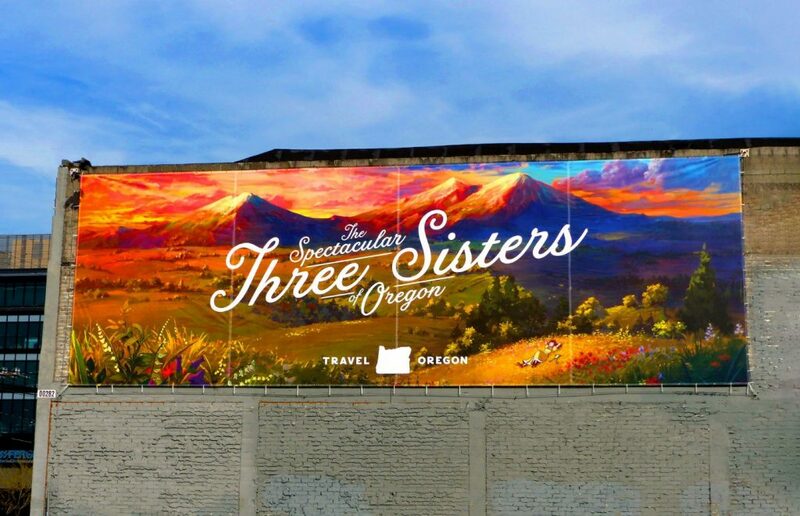 Entries for the 2019 OBIE Awards include Travel Oregon and the Catalan Tourist Board, each featuring colorful wall ads. 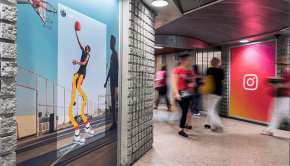 Wallscapes of idyllic scenes in Oregon — part of a multi-media campaign in Portland, San Francisco, Seattle, and Phoenix — showcase the variety of OOH formats used to promote tourism. 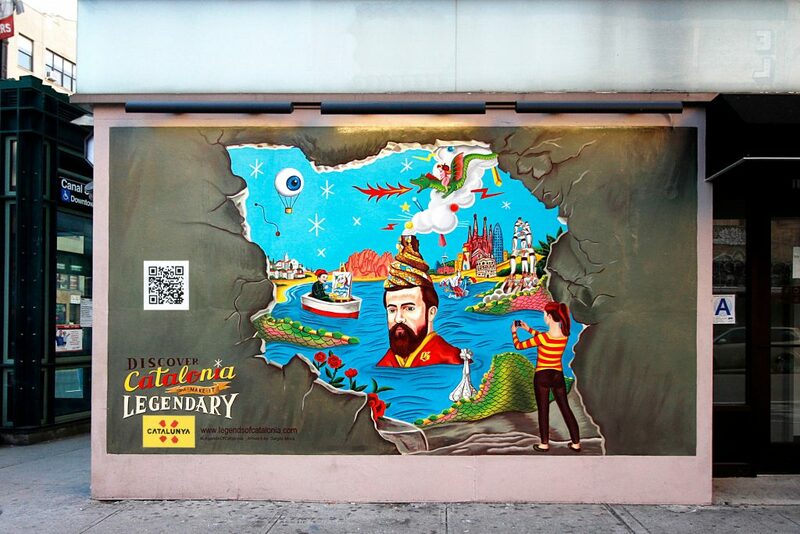 In November, hand-painted walls in New York, NY, asked passersby to Discover Catalonia in Spain. In November, Travel Cuba targeted Canadians with mobile truck ads in the Toronto area. 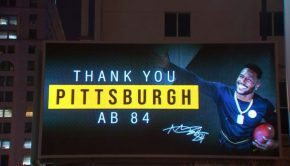 “The massive canvasses couldn’t be missed with warm beaches contrasting the snowy, cold environments the trucks traveled through,” according to the official campaign video. Last year, the West Virginia Tourism Office launched a new tourism campaign that invites visitors to discover their version of heaven in West Virginia. The campaign “Almost Heaven” captures the longing West Virginians feel for their home and extends that sense of tranquility to travelers. 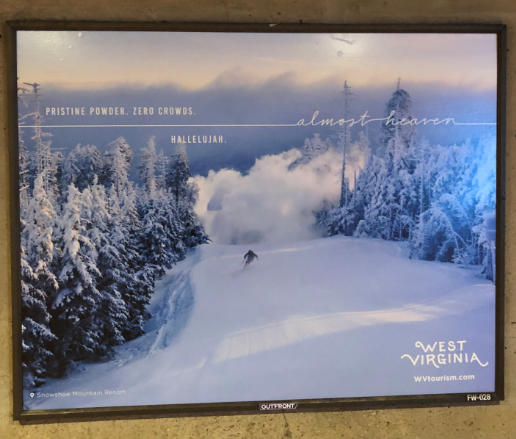 In the Washington, DC, metro transit system, ads featuring the powdered slopes of West Virginia mountains, only hours from the DC metro area, target urban winter sports enthusiasts in January. Discover The Palm Beaches is targeting commuters with bus shelter ads. 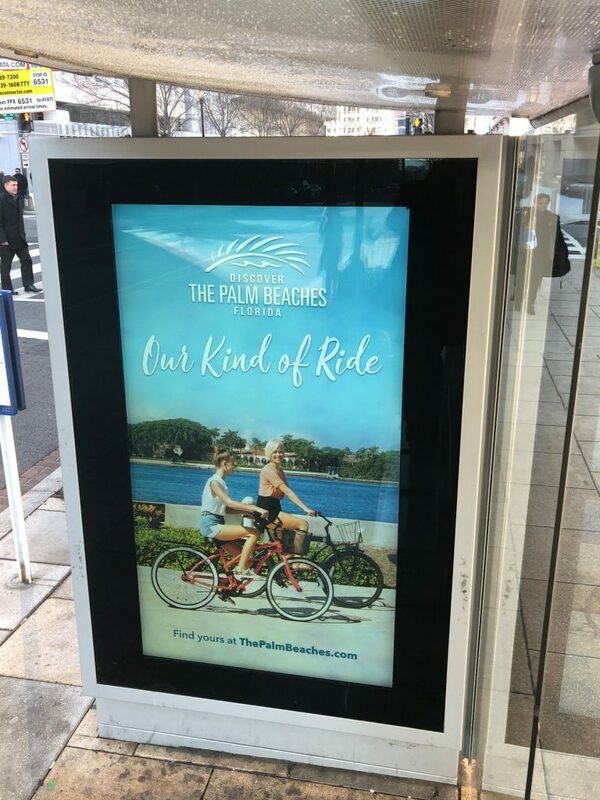 Sunny skies and clear water encourage pedestrians, cyclists, and bus riders to experience “Our Kind of Ride” in Palm Beach, Florida.